ACL's National Institute on Disability, Independent Living, and Rehabilitation Research (NIDILRR) will celebrate its 40th Anniversary today (Thursday, October 18) from 1 to 5pm ET, in the Great Hall of the Hubert H. Humphrey Building in Washington, DC. Watch the 40th anniversary celebration of NIDILRR live at 1 pm - 5 pm ET. NIDILRR’s mission is to generate new knowledge and to promote its effective use to improve the abilities of individuals with disabilities to perform activities of their choice in the community, and to expand society’s capacity to provide full opportunities and accommodations for its citizens with disabilities. Work supported by NIDILRR has led to accessible transportation options, universal design, website accessibility, assistive technologies, and much more. Alex M. Azar, II, Secretary of the Department of Health and Human Services (HHS), Administration for Community Living Administrator Lance Robertson, Principal Deputy Administrator Mary Lazare, and many others will give remarks. The event will include comments and historical perspectives from current and former directors and staff, research highlights from current Switzer Fellows, and guest speakers from the NIDILRR grantee community. It will also feature 60 scientific research posters describing the work of grantees. View the event agenda and speakers list. Follow the event on Twitter using #NIDILRR40. Submit comments and questions about NIDILRR's anniversary. 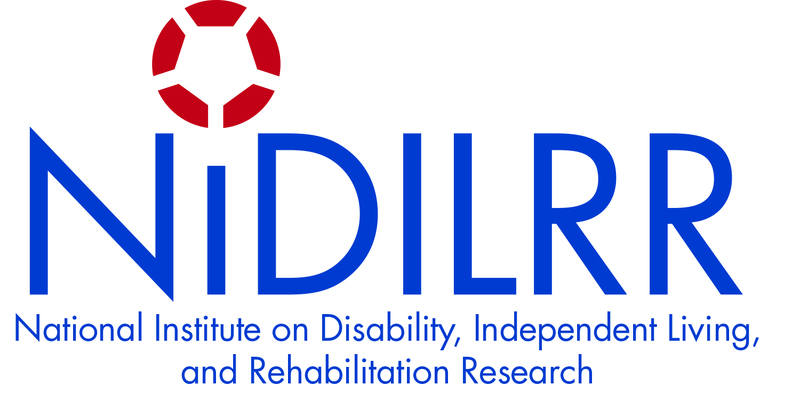 NIDILRR was created as the National Institute on Handicapped Research (NIHR) in 1978, with the passage of the Rehabilitation, Comprehensive Services, and Developmental Disabilities amendments to the Rehabilitation Act of 1973. It was charged with the prime responsibility of providing the required knowledge for defining the needs of people with disabilities, and with identifying the means for improving services. Its original goal was to focus -- in one agency -- a strong commitment to a major program of research on all aspects of disability and the related socioeconomic implications of the problems encountered by individuals with disabilities. The scope of activities prescribed for NIHR was all encompassing and cut across practically every facet of rehabilitation and habilitation research activities imaginable, with no limitations in terms of type of disability, age, or intended goals. In 1986 NIHR became the National Institute on Disability and Rehabilitation Research (NIDRR). The terminology needed an update to reflect the current times, but the mission was as important in 1986 as it had been in 1978, and it remained largely unchanged. In 2014, the Workforce Innovation and Opportunities Act gave the organization both a new name and a new home. In recognition of a key philosophy that had long been a NIDRR priority, “independent Living” was incorporated into the name, turning NIDRR into NIDILRR. Additionally, it was transferred to the Administration for Community Living, within the Department of Health and Human Services. The Administration for Community Living (ACL) was created around the fundamental principle that all people, regardless of age or disability, should be able to live independently and fully participate in their communities. By advocating across the federal government for older adults, people with disabilities, and families and caregivers; funding services and supports provided by primarily by networks of community-based organizations; and investing in training, education, research and innovation, ACL helps makes this principle a reality for millions of Americans.